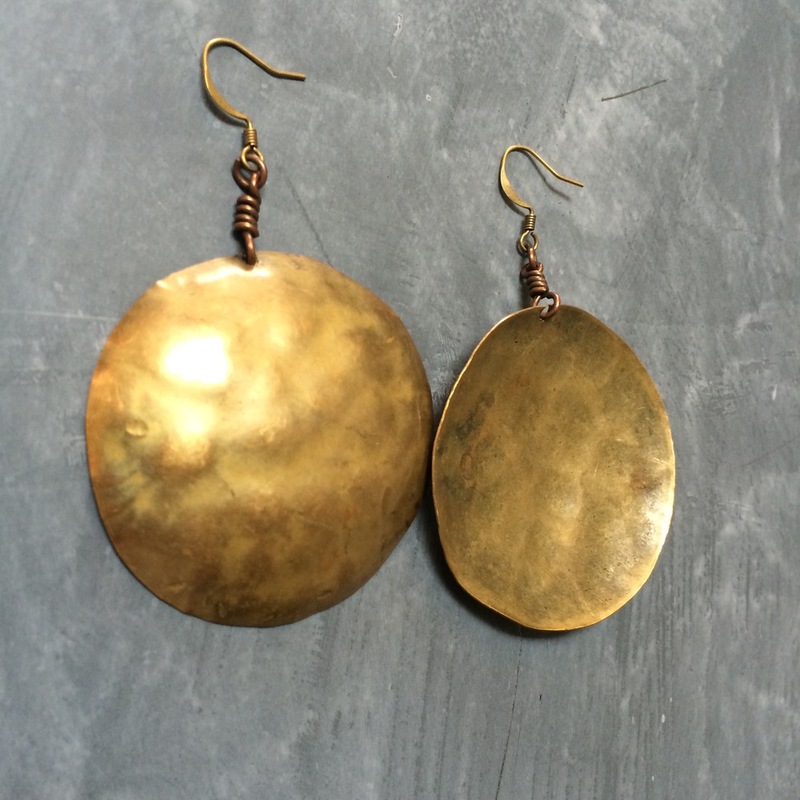 If you've ever been into Establish, you are well aware that two of our favorite metals are copper and brass. For one, they look rad. Secondly, they are (fairly) inexpensive metals. So it's really a win, win combo. As with all metals, we know with wear comes tarnishing. A lot of times, the tarnish and patina looks amazing. We often wouldn't change a thing. But sometimes you want a little extra sparkle in your life and for that, there is cleaning! We also love life hacks to cleaning, organizing anything and everything. After some research and experimenting we found some great home remedies providing instant gratification and a mostly minimal mess. Just a quick tip before cleaning your metals: determine if your item is actually made of brass, copper or if it's plated. Test for Brass or Copper. Hold a magnet to your piece of jewelry. If the magnet sticks, the item is not brass, but most likely brass-plated. If that's the case, use water and mild detergent to clean, anything more abrasive (such as methods below) could damage the plating. If the item is brass follow the steps below! You can try the same magnet method for copper. If the magnet does not stick and you still aren't sure you can usually tell by the color. 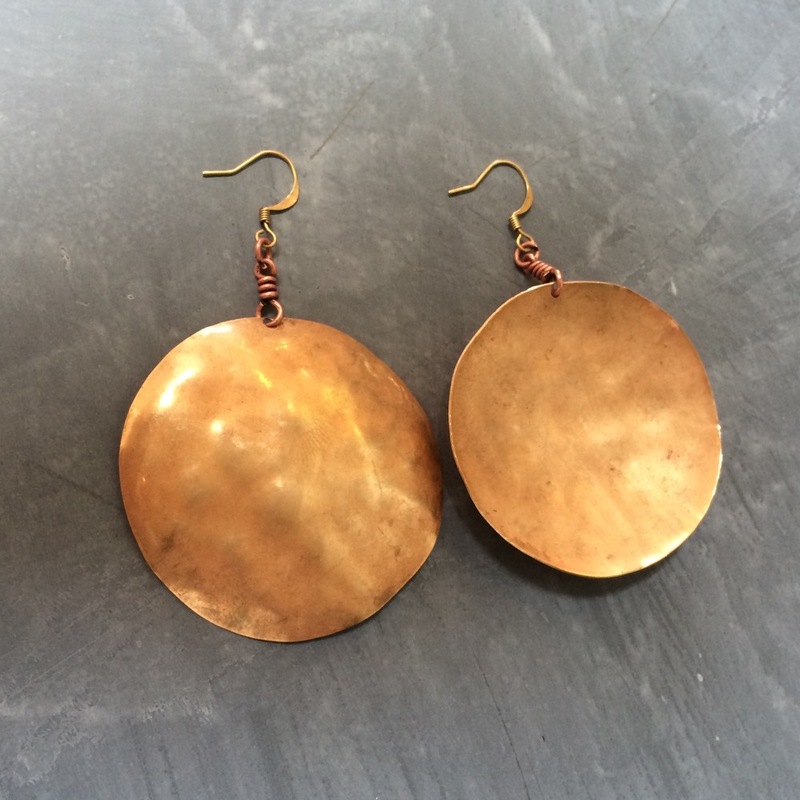 Copper tends to be a redish color that tarnishes and oxidizes to a greenish tone known as patina. It's also a softer metal that can dent or bend fairly easily. 3. Rub salty lemon on object. 5. Dry with clean cloth. 2. Squirt a quarter size of the ketchup or worcestershire on cloth. 3. Rub into brass or copper. 4. With a clean cloth, rub dry. 1. Mix equal amounts of the three ingredients. 2. Apply the paste with fingers. 3. Let sit for 1 hour. 4. Rinse with warm water and rub dry with soft cloth. Now that your item is clean and shiny you must be wondering, 'how fast can I dirty it up again'... We're doing the exact same thing! Keep ya posted.